Hawaii, and especially the main island Oahu, is one of my favourite places to visit in the world. Granted, I haven’t yet been to Kauai, the Garden Isle, or to Big Island, which are a lot more quaint than Oahu. That could be great, but I once spent a few weeks on Maui and as beautiful as the Valley Isle is, as a city girl I did get a bit bored after a while. Not on Oahu, which offers a unique mix of nature, beaches and city life. 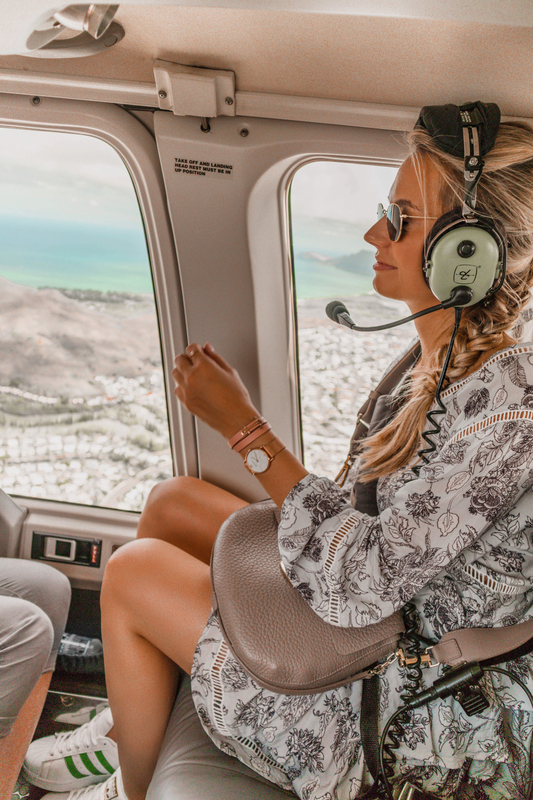 To get the full overview of Oahu, what could be better than a helicopter tour around the entire island? 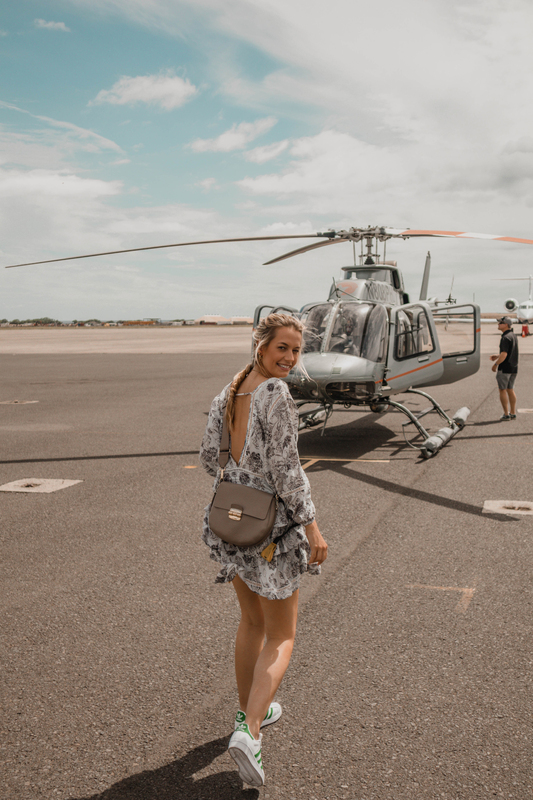 We spent a few hours in the sky with Paradise Helicopters, who gave us the grand tour, called The Circle Island Experience. 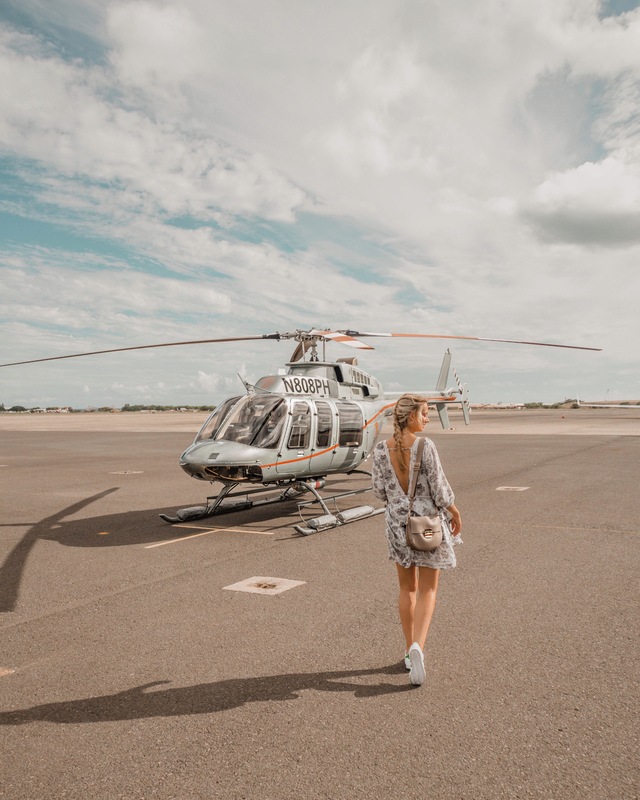 And as a total experience, I rank it right up there with the helicopter tour I took over the Grand Canyon, because that is how impressive this flight was. We took a tour with four other people, plus obviously the pilot, and there would have actually been room on board for a few other passengers. I really appreciated having enough space and the clear, unobstructed views through the large windows. 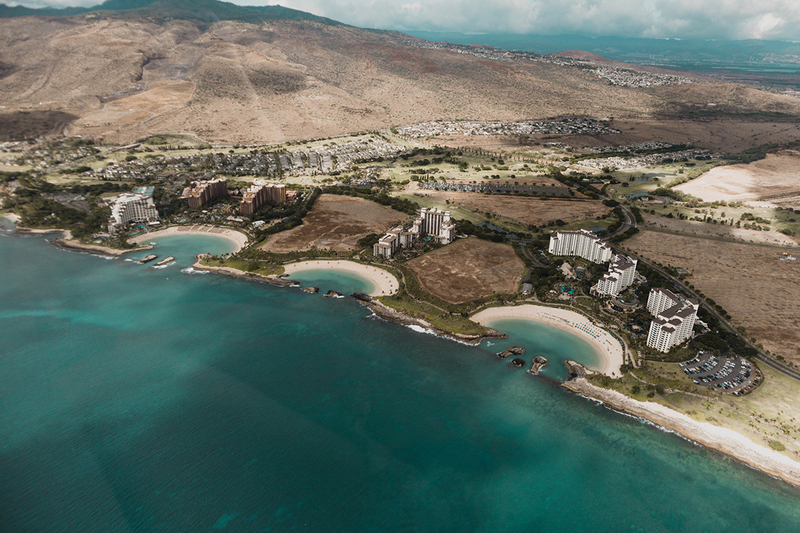 We flew counter clockwise around Oahu, starting near Pearl Harbor, over Waikiki, Diamond Head and snorkel paradise Hanauma Bay, then up the beautiful windward side to the North Shore, finally returning along the west, dry coast. 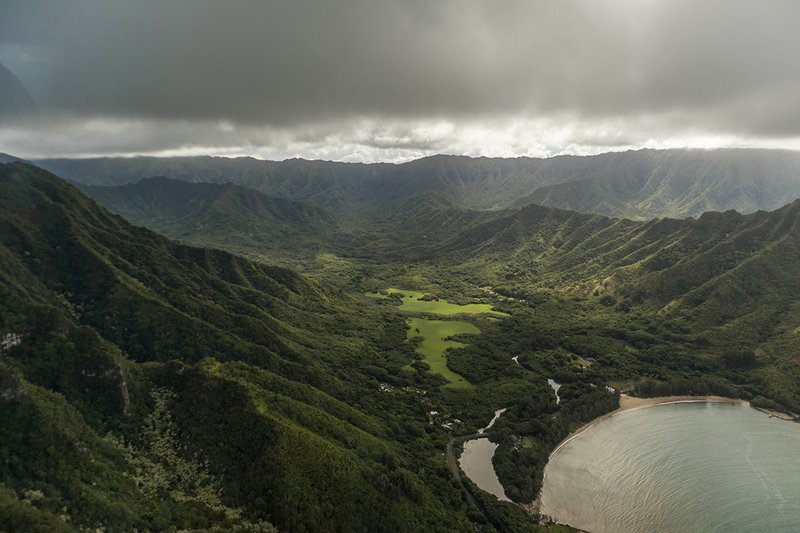 It was truly amazing to see the difference in nature and vegetation on such a small island: from extremely lush, green, like a rain forest, to almost desert like on the west side. 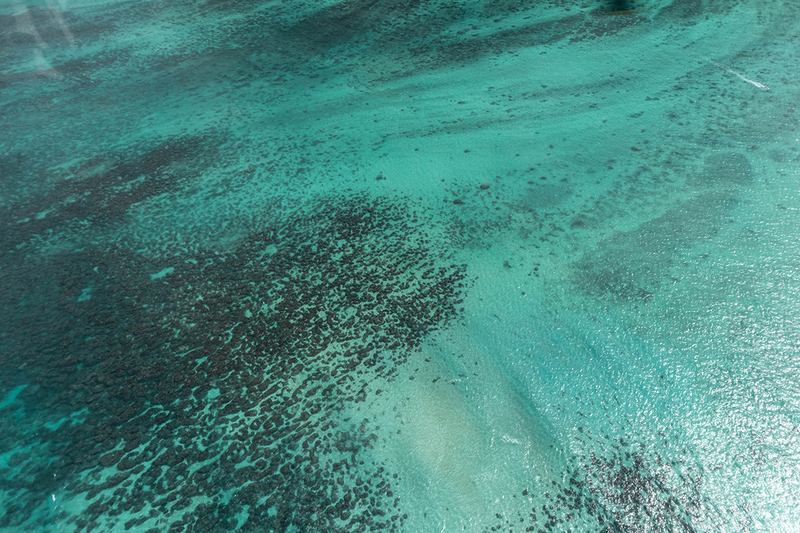 There is no way that I could have seen most of these places any other way, than by helicopter. 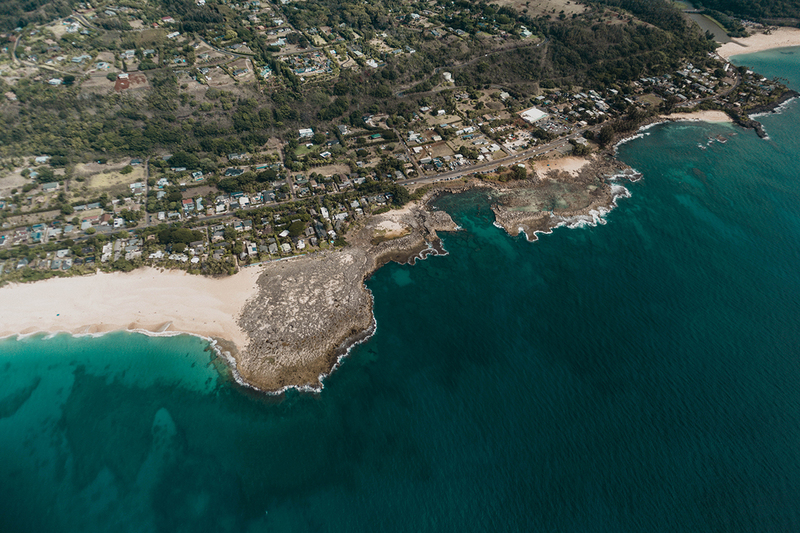 My favourite moments were seeing Waimanolo Beach, Kailua Bay, the Kaneohe Bay Sandbar and towering waterfalls on the windward side of the island. The most impressive moment, however, was flying over the USS Arizona in Pearl Harbor, where almost 1200 crewmen died during the attack and realising all those people are still buried there. Our pilot, Eric ‘Jimmy’ Olsen, spent more than two decades as a helicopter pilot in the Marine Corps, so we were in very safe hands. 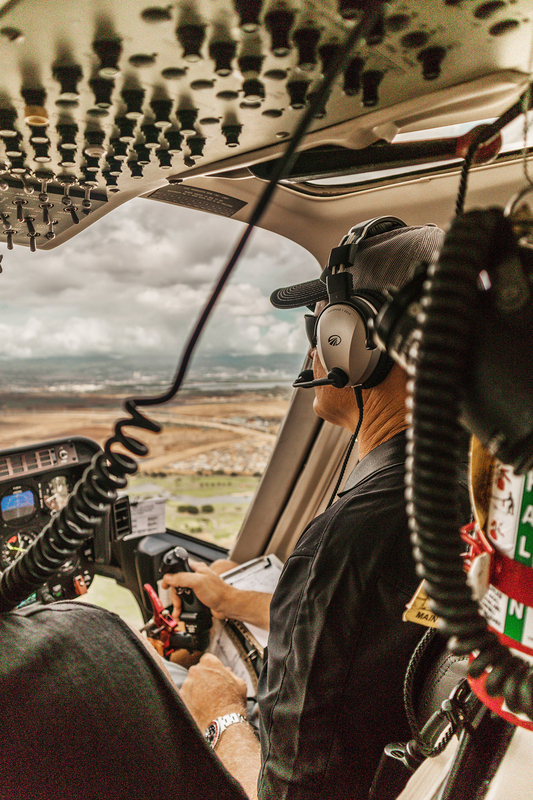 Eric really took his time to show us the best spots, often flying over a special spot twice so the passengers on both sides of the helicopter could get a great view. His joy of flying and his pride to show his island to us, were evident at all times and I really enjoyed his information and back stories about everything we were seeing. 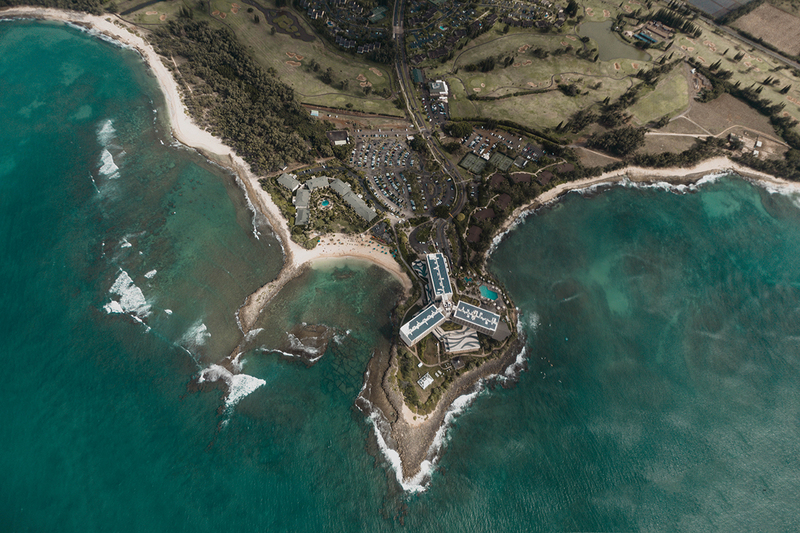 Posted in TravelTagged flight, hawaii, Helicopter, Oahu, The Circle Island Experience, to do on hawaiiBookmark the permalink. Wow, it looks beautiful there.Adding this to my bucket list! 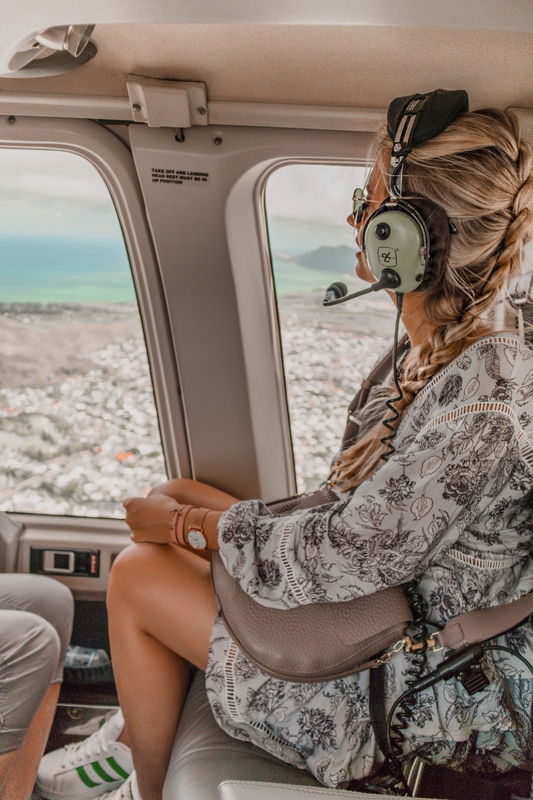 Definetely, there is no other way to take these amazing pictures than from the cabin of a helicopters flying up high and opening the stunning views for its guests. A must-take tour for sure! What an amazing experience, girl! The views were gorgeous and I know it was an experience to remember! Thanks for sharing and I hope you’re having a great week so far! Wow what a stunning view! I love your outfit! Great experience 🙂 You are so lucky girl…Nice post friend! Kisses. You look so stuning! what an amazing experience!! Wooooow, what an amazing experience! And those pics you took from above are just more than gorgeous! Love it! Beautiful photos! You look so stunning! This is so cool!!! I haven’t been to Hawaii but it’s definitely on our bucket list. Your braid is fabulous! Wooooowww wooowww I love love love! Such a beautiful post! I’ll have to keep this post in mind when I travel to Hawaii in the future. You look beautiful. Have a great weekend dear. Aww what a wonderful adventure! Beautiful pictures! Looks like a great place to visit. Oh my gosh, I absolutely adore how you edit your photos – so dreamy! The views from the helicopter are beyond beautiful and you look stunning in this floaty dress. Have a fabulous weekend! Woww … que look lindo! Amei *. * lindas fotos! 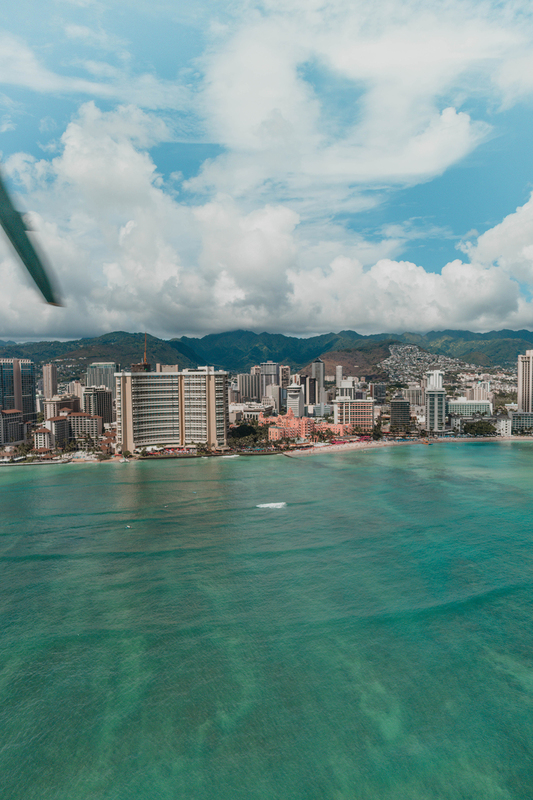 I did this helicopter tour over Honolulu too and it was so beautiful! 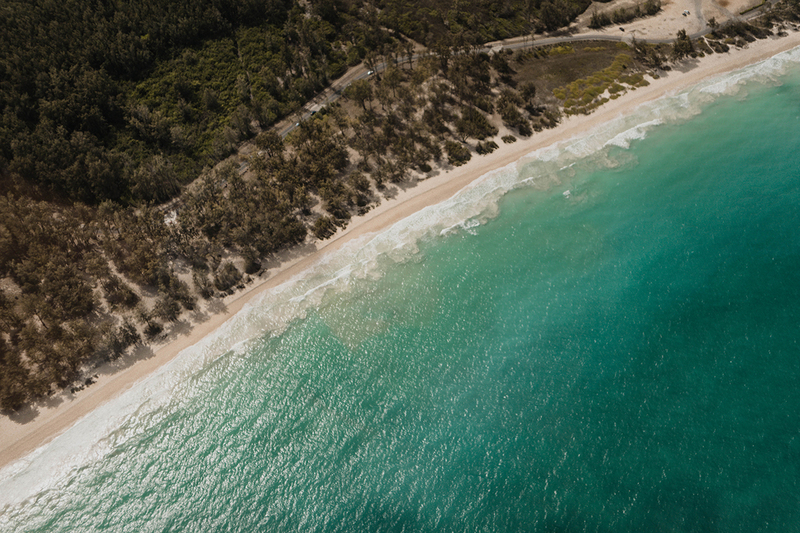 It’s totally worth the splurge to see all those gorgeous sights from the air. Love your photos! This looks amazing! The view is to die for! What an amazing view! Unfortunately I’ve never been to Hawaii but it’s definitely on my bucket list now. Now that is a travel destination for sure. Look at the scene. Wow!! My sister just left there from her honeymoon! Such a gorgeous spot and beautiful pictures! The views from the helicopter are amazing! How cool! I loveeeeee Oahu! Those pics are amazing and although I didnt do the aerial experience, I do recognise familiar places from your photos! What an amazing experience it must be! Great Post! Hawaii is paradise, one of the most beautiful places on earth. The weather is perfect and the sceneries are breath taking. Fantastic photos you got there babe. As usual this is dreamy and looks absotely amazing! Wish I could try one day ! This takes me back – I did this when I was in Hawaii too. I loved it. Although when the helicopter went too close to the hills I felt a bit sick. Love your easy outfit. I wish I was here with you too! 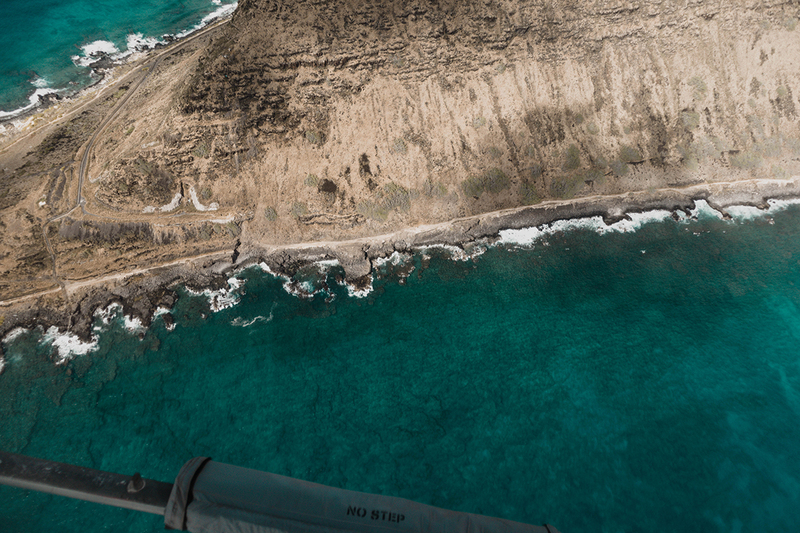 It’s so cool that you got to take a helicopter tour of O’ahu! This kind of brings me back to my trip there this recent summer. Oh man, a lot of these shots look super familiar! Love how you got to see some beautiful sceneries from above! I loved the jellyfish cove next to Disney’s resort! I definitely need to take this tour next time :)! SO JEALOUS! This is on my bucket list and from your shots, this is an experience I need to do sooner than later. So gorgeous. 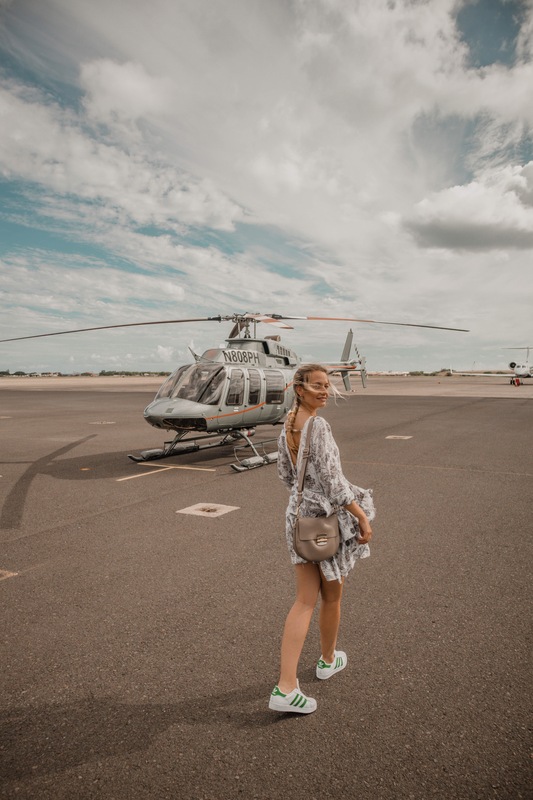 Such cool photos, you look great in the helicopter! I’ve always wanted to do something like this! Ben went skydiving once in Hawaii and said it was absolutely incredible to be above the water like that. He said you could see the whales! Definitely a way to make forever memories. What an amazing experience! This is definitely high on my bucket list.